There may be a lot of available modern-day pool tables available out there. But for some people, the modern just won’t cut it. You may be among a number of people whose idea of a pool table is a classic look of an antique pool table. You, just like the rest probably find the idea of playing﻿﻿ on﻿ a﻿﻿ ﻿﻿﻿﻿﻿﻿﻿vinta﻿﻿ge piece satisfying. The problem however is finding a decent one to buy. 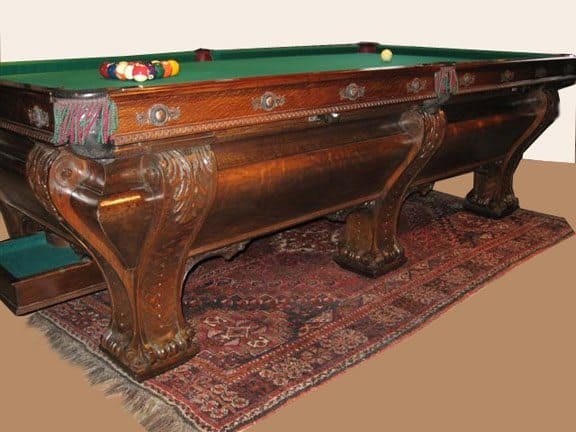 You may have already cowered through a number of what claims to be antique pool tables online but just couldn’t wrap your head around whether or not these are legit. Don’t give up on owing an old fashionable pool table just yet. 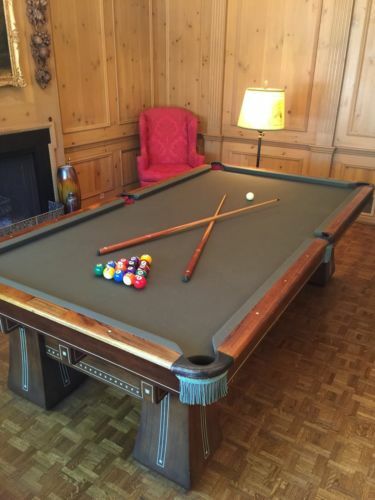 You may be surprised that with these tips, your dream of getting your hands on an antique pool table might just turn to reality. Sure, garage sales might not come often in your neighborhood but it’s one of the best ways to find decent stuff. Not just antique pool tables. The good thing about garage sales though is that you can inspect potential buys right there and then. This beats having to rely on a photo online to get a preview of what you are buying. This is also a “no wait” transaction, as opposed to shipping items from online buys. The best part about garage sales is that, your expectations are managed well and you are almost guaranteed a low affordable price. This may be an unorthodox approach but storage units are full of surprises. You might even surprise yourself with striking a unit that holds not just one, but multiple pool tables! Of course, this is a matter of sheer luck, but once you hit gold, there’s no denying the satisfaction it could give. Check storage unit auctions in your area or somewhere accessible. You really don’t have to buy a locker to join these auctions anyway, you can just be one wandering audience with a mission to find an antique pool table. Checking a pub near you with an antique pool table might do the trick too. That is, if the owner gives in to selling you one. But it is worth giving a shot, you have nothing to lose anyway. Simply canvass pubs and bars with antique pool tables, and inquire with the owner if he/she would consider selling you one of the tables they have. There may be promising prospects online too, you just have to know where to look and who to trust. 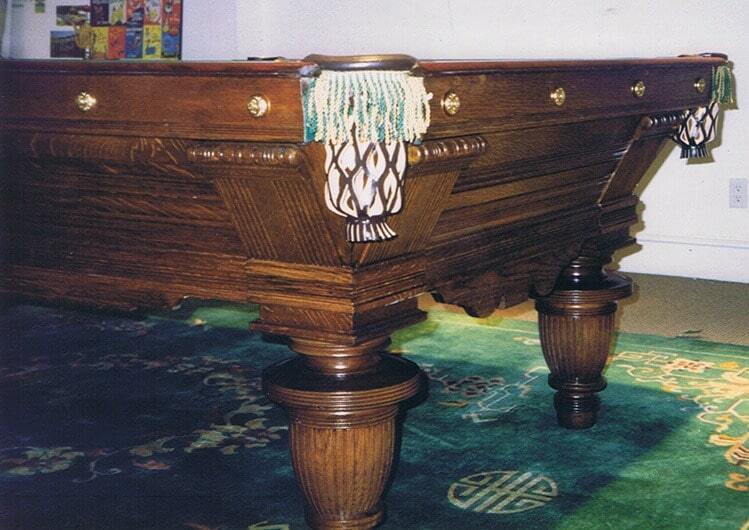 One good site to buy antique pool tables, and anything for that matter would have to be Ebay. Just check the seller’s feedback and trust rating before getting involved in a transaction. You can also try Facebook. You might find it more convenient to trust people that you could see pictures of or has common friends with you (if that turns out to be the case). The issue might be, for any of the suggestions above, is finding a decent antique pool table that still looks and functions well. You need not worry about that though, we have a way around that too. For dinged up antique pool tables, you might want to consider redecorating it by having the wood sanded, varnished or painted. If it’s a felt issue or anything else that you think you may not be able to handle alone. 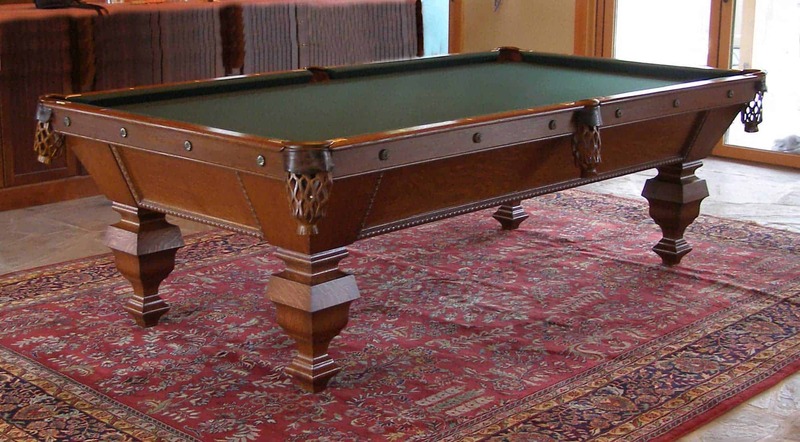 You can always call on pool table restoration exper﻿﻿﻿﻿﻿﻿ts who has experience in handling antique pool tables. There is a certain pride and﻿﻿ sense of satisfaction you’d surely get should you finally be among the number of antique pool table owners in the country. That being said, do not be disheartened if you don’t come by the much coveted pool table quickly. Remember, good comes to those who wait, so be patient, and have a happy hunting!